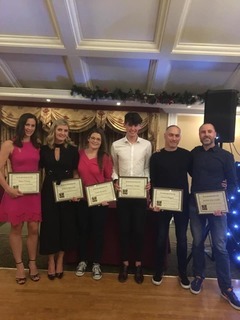 The Tri an Mhi triathlon club held its annual awards night in the Newgrange Hotel on Friday 7 December. Members of Trim AC were prominent among the award winners. 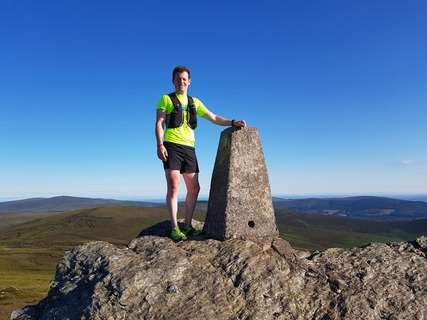 Ellen Vitting won the female athlete of the year having clocked up some exceptional results in duathlons, triathlons and adventure races right trhough the season. She finished the year with overall victory in the BMW National Triathlon Series. The male athlete of the year award went to Jonathan Nangle who also put in a string of fine results in both the National Duathlon Series held over the late winter and spring and the National Triathlon Series. There was double joy for the Rogers family. 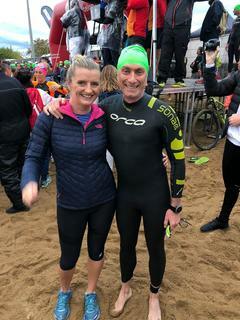 Female performance of the year went to Anita Rogers who put in a gutsy aand courageous effort in the choppy waters of Dun Laoighaire Harbour, horizontal rain in Wicklow and rounded it off with a steady half marathon along the seafront for the Half Iron man last summer. 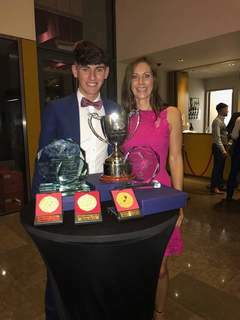 The most improved male athlete went to Gearoid Rogers who has over the past three or four years improved gone from a nervous novice swimmer to an Ironman with great application to all components of triathlon. Ultra man himself Graham Macken won the male performance of year. Appropriately enough Graham was getting ready for the 50 mile Wicklow way Ultra and had to give the awards night a miss. All of these athletes put in great work and preparation during the year and took on their target events with great determination. It is great to see their achievements recognised by the peers.